Let’s take a look at the best, the worst & the weirdest breakfasts from around the world. Every other week it feels like the scientific community release a report that states a new exciting way to eat healthily. The latest study I came across claims that eating chocolate cake as part of your breakfast could help you to lose weight. 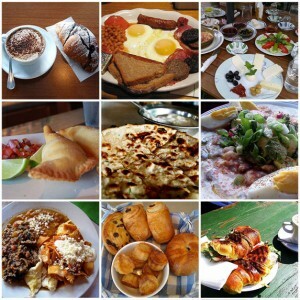 Breakfast is frequently stated as “the most important meal of the day”, so I thought it would be interesting to find out what constitutes this “meal” in various countries across the world. There are certain areas of Costa Rica are known as “blue zones”, areas of the world which are being investigated for the extended lifespans of the populations; and it is easy to see why with a such a nutritious diet which rivals that of many other nations. 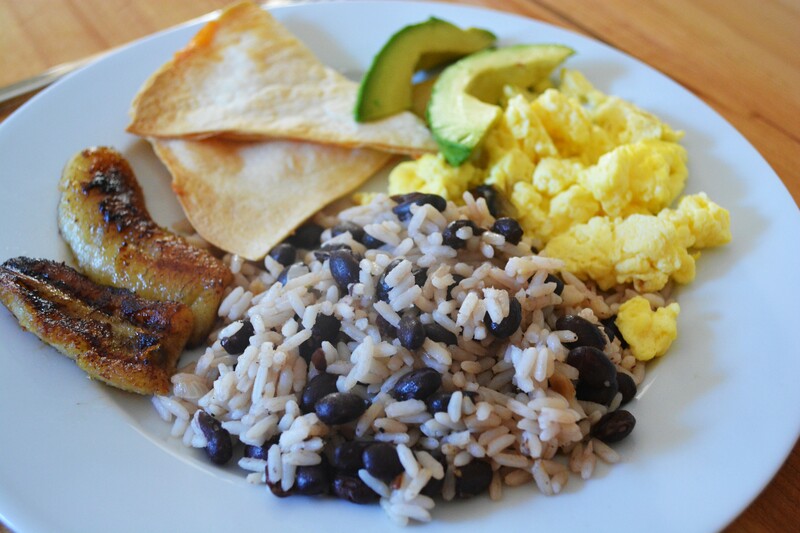 Gallo pinto has been noted as one of the favourite breakfast choices amongst dietitians. It is a dish made of black beans and rice, served with scrambled eggs and extra avocado or grilled banana, if you so wish. Gallo pinto is high in fiber, protein and complex carbohydrates and it is a perfect start to your morning. It will ensure that your energy levels remain high and more importantly, it will sustain you all morning, keeping you satisfied right up until lunch. Costa Ricans often consume fruit alongside this breakfast, adding to the health ratings on this super breakfast. You may have been expecting something along these lines. As the most overweight nation in the world, it was likely that the worst breakfast food was going to come from their country. With a whopping 13% of obesity in the world coming from the USA alone, perhaps they need to rethink their breakfast choices. 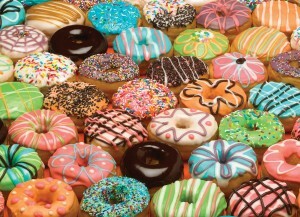 Doughnuts, the US staple breakfast, are fried dough, typically either ring-shaped or without a hole and often filled. They are often coated in sugar, chocolate, or maple glazing and filled with fruit preserves, cream, custard, or other sweet fillings. Their sweet taste, crispy coating and doughy centre make them a favourite in the states, the perfect accompaniment to a cup of coffee, also a national favourite. However with a high sugar, calorie and fat content they are guaranteed to increase blood sugar which can lead to many health problems, as well as obesity. To add insult to injury, these sugary dough rings fail to sustain your hunger until lunchtime, resulting in further calorie consumption. I don’t usually approve of the “Japan is weird” stereotype, however, I will make an exception for Nattō. 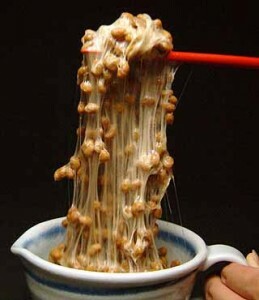 Made by fermenting soybeans with good bacteria known as “Bacillus”, Nattō has a strong smell and taste (similar to a particular pungent cheese), with a slimy glue-like texture. It is a dish that is loved by some and hated by many, a truly acquired taste. Nattō is heralded as a healthy food in Japan thanks to its mixture of proteins and beneficial bacteria. But to be quite honest, no amount of proteins or health benefits will convince me to put this odd-looking spaghetti gloop anywhere near my mouth… does anybody have a doughnut? High blood pressure due to sugar not salt?